From their humble beginnings as ink drawings on comic book pages, to starring in their own multi-million dollar budgeted movies, superheroes occupy a broad swath in pop culture. Idolized by adults and children alike, it is their strong moral principles which truly define superheroes. How they choose to use or not use their superpowers is what separates them from the supervillains. This characteristic is perhaps best described by Uncle Ben in the movie “Spider-Man” when he says, “With great power comes great responsibility”. 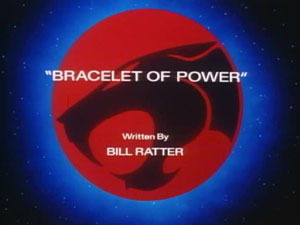 Writer Bill Ratter explores how absolute power can corrupt even a ThunderCat in this narrative. 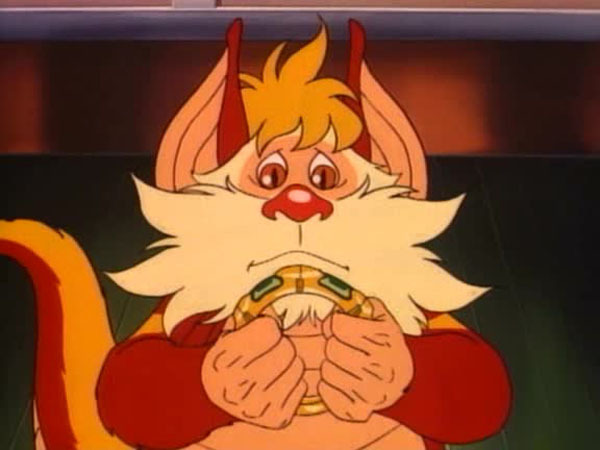 Snarf is smitten when he sees a gold bracelet among the jewelry brought by the ThunderCats from their latest treasure hunt on New Thundera. 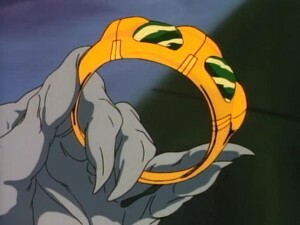 He asks to borrow it for a while and as he flaunts it on his wrist, he notices that the ThunderCats are willingly fulfilling his every wish. 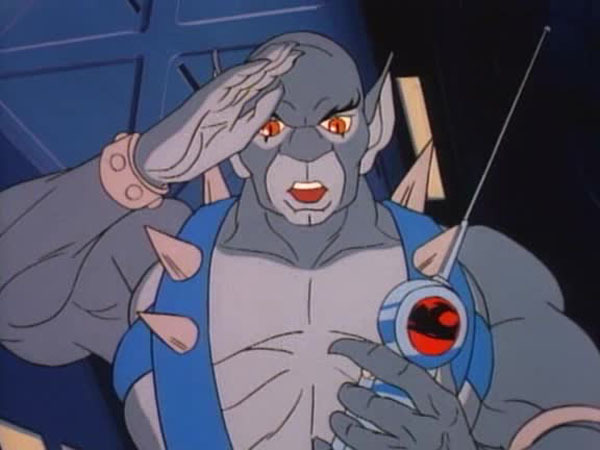 After making Panthro hop on one leg three times, Snarf realizes that the bracelet has endowed him with total control over the ThunderCats. A sinister grin spreads across Snarf’s face as he decides to take full advantage of the situation and rudely bosses around his compatriots. As always, the magical waters of Mumm-Ra’s cauldron keep him abreast of the events inside Cats Lair. 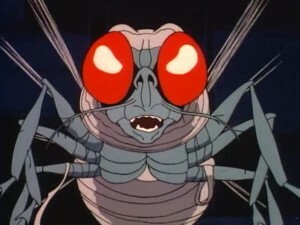 Mumm-Ra transforms into a housefly, complete with bandages and glowing red eyes, and buzzes off to Cats Lair. The Mumm-Ra Fly tries cannot resist annoying Lion-O and Panthro who are busy working on Snarf’s Communicator but he pays the price for his mischief when a swat from Panthro sends him reeling to the ground. He then shifts his focus to his main objective, snatches the Bracelet of Power from Snarf and uses it to order the now subservient ThunderCats to taxi him to his pyramid in the Feliner. 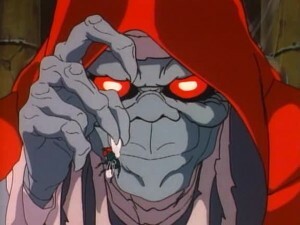 Who knew that even Mumm-Ra likes to travel in luxury? 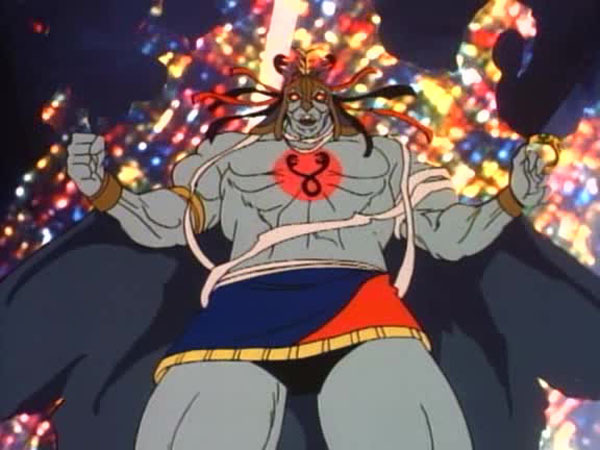 Once in his Black Pyamid, Mumm-Ra cages the still entranced ThunderCats, unaware that Snarf and the ThunderKittens have sneaked in as well to mount a rescue. 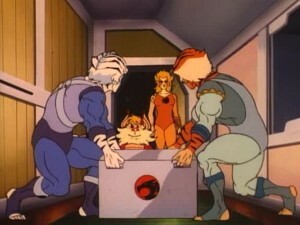 The scene is littered with hilarious dialogue as Snarf pretends to be under Mumm-Ra’s control. Mumm-Ra’s bewilderment at Snarf’s story about his old war wound which he sustained while serving as a commando in the great Snarf Rebellion is particularly rib-tickling! As soon as Mumm-Ra enters his sarcophagus to catch his forty winks, Snarf quietly removes the bracelet from the mummy’s shriveled hands, thus breaking his control over the ThunderCats. Lion-O then makes short work of Mumm-Ra using the Sword of Omens and the victorious ThunderCats return back to Cats Lair. 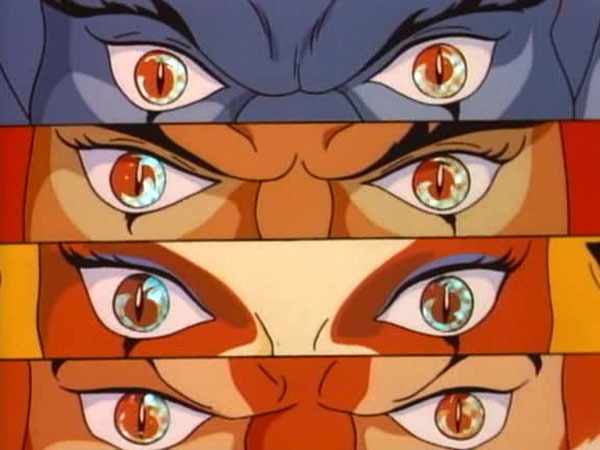 The scenario in which the ThunderCats have their minds controlled by the villains has been employed ad nauseum in the series. Ratter tries to inject a bit of variety this time round by giving Snarf the absolute power, albeit briefly. The mean streak displayed by Snarf as he chooses to make the ThunderCats toil for him is original too. 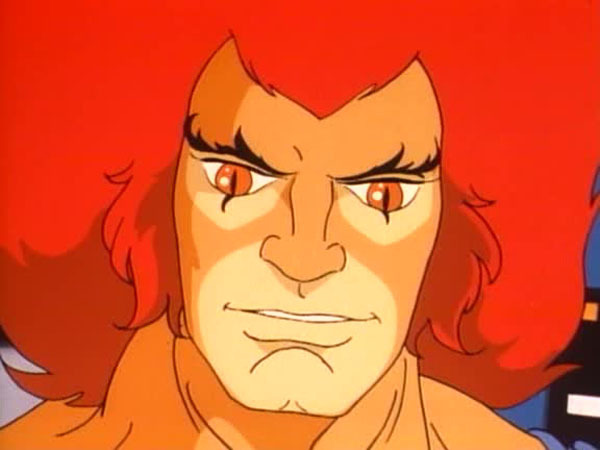 Normally it is some external influence which makes the ThunderCats behave wickedly but in this episode Snarf, out of his own free will, does not hesitate to boss around even the Lord of the ThunderCats. 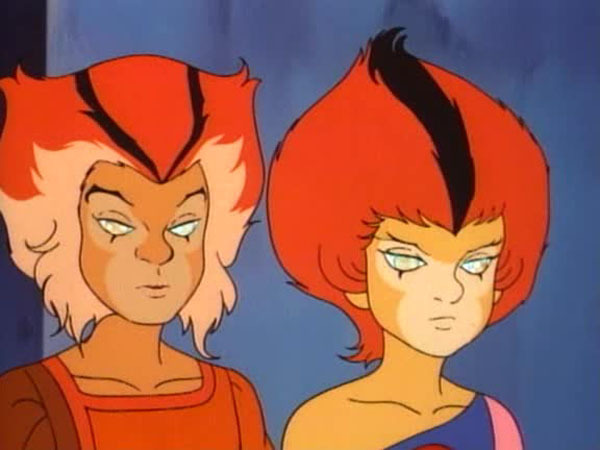 Apart from Snarf giving in to temptation, the humorous exchanges between Mumm-Ra and Snarf are the only positive aspects of this otherwise boilerplate episode. Even after gaining control over the ThunderCats, Mumm-Ra’s choice to simply lock them up is equally disappointing and futile as the hypnotized heroes weren’t going to flee anyway. The clichéd resolution only serves to further weaken the plot. 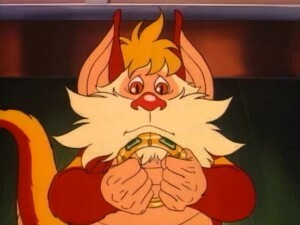 In the episode “Locket of Lies”, Snarf is shown talking to his friends on New Thundera via the rather primitive Snarf communicator which malfunctions while he is using it. 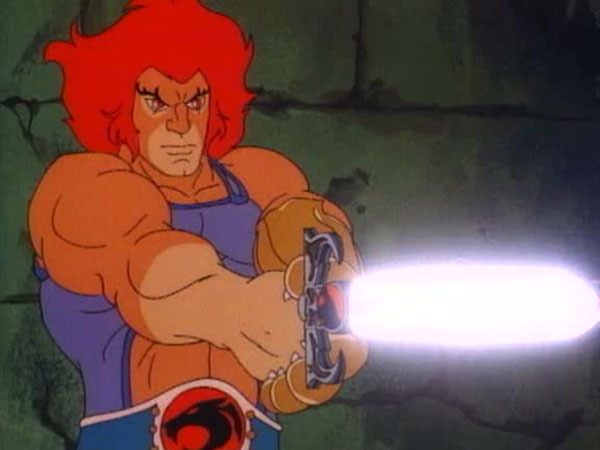 That explains why in this episode he asks Lion-O to build him a better communicator. This episode marks the first time that Mumm-Ra rides in the Feliner. 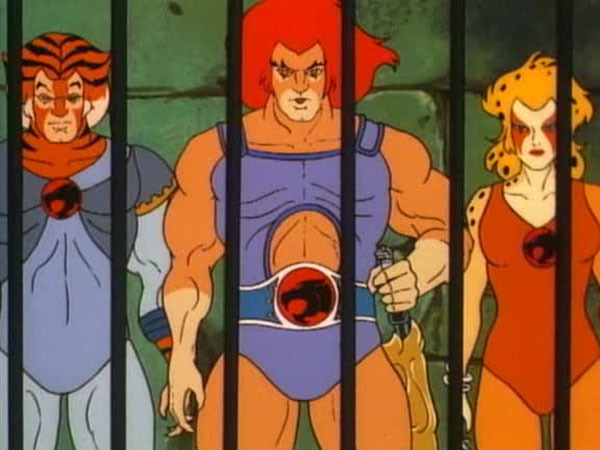 In this episode we see that the Sword of Omens has the power to create permanent prison bars out of thin air! Even though Bengali appears briefly near the beginning of the episode, he is not seen again. The other new ThunderCats are also absent from this episode.